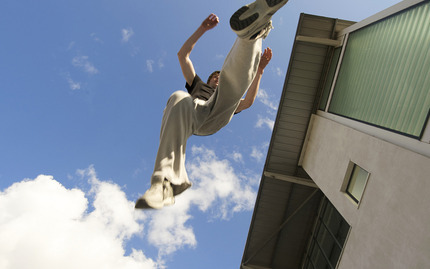 Did you know that parkour began with military obstacle course training? Of course, it's now evolved into an art that extends beyond the military training camp, but how cool would it be to be able to say as a fun fact about yourself, "I can ace the military obstacle course." Think outside the box -- parkour will take you from point A to point B using a unique, unconventional approach that involves climbing, swinging, running, and even vaulting! Improve your physical strength, flexibility, and agility through demanding exercises meant to build up your muscles and endurance. You'll have fun while you train, expanding your imagination as you use your body in ways you never thought you could before! Note: Flips are not taught in this class. If you miss a class, you can reschedule, but you must notify the instructor first.